– Garrison Brewing Black IPA I opened this an hour before check out of my Toronto hotel on Friday, thinking I’d finish it while packing. I didn’t expect it to be such a roasty BEAST of a beer…it ended up getting poured into a travel coffee cup for some outdoor downtown Toronto drinking. –Flying Monkeys Robert Simpson Confederation Ale Again, not bad…I think? –Cremore Springs Lager I scribbled drunken notes on a coaster for this one…”Picture the worst euro-lager you’ve tasted. That’s what this tastes like”…I’m a harsh critic when drunk. 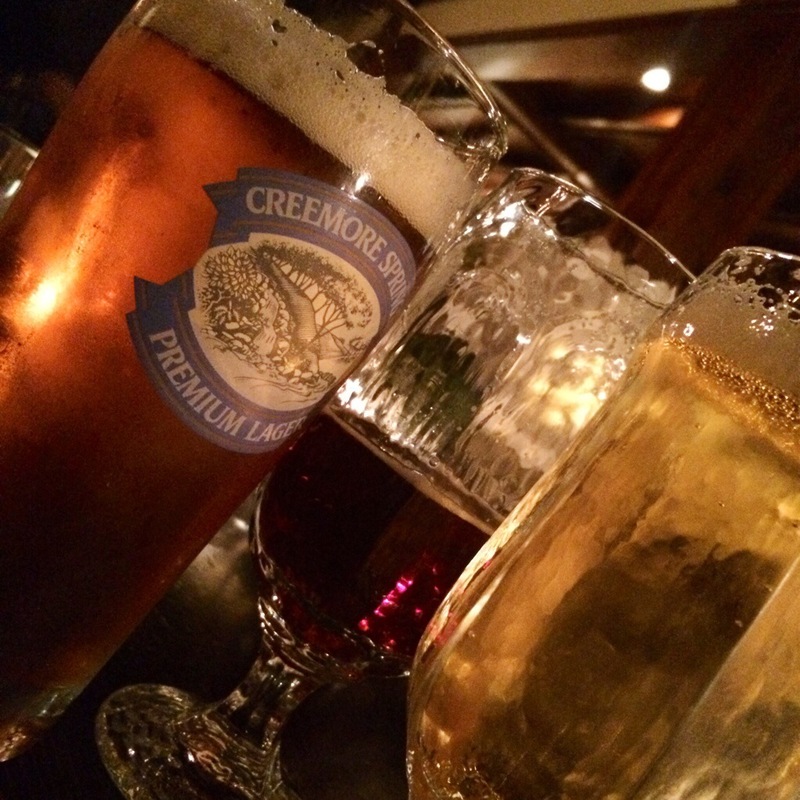 Beer Diary: Day 8 – Last day in Toronto. aka DRINK THOSE BEERS!